Inspired by simple farmhouse designs, this dining room is meant to be loved, as you make wonderful, new memories that will be cherished for years. 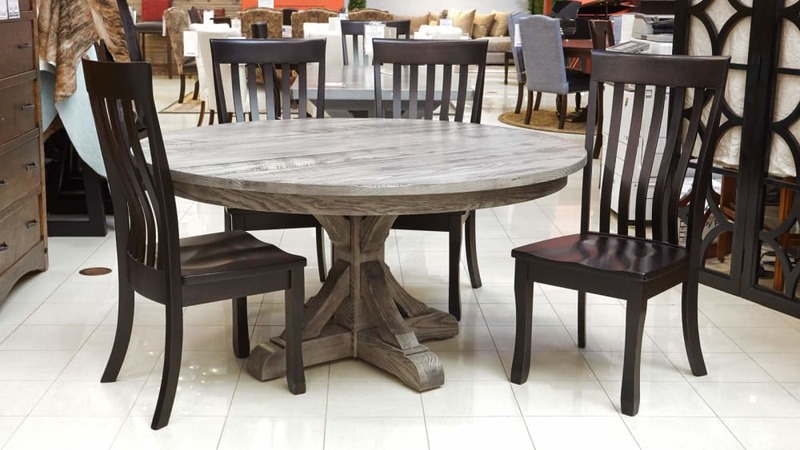 Crafted out of premium American hardwoods, sustainably harvested from responsibly managed forests, this is a dining room set that will tie your family together, as you share and enjoy lovingly-prepared meals. This entire set was proudly Made in America. Solid hardwoods, including beautiful white oak used for the table, make this heirloom-quality furniture. Proprietary catalyzed finishes protect the wood from wear and tear. Seats and backs are both sculpted, providing excellent comfort.